Looking to be close to world renowned mountain biking and skiing? Living on the mountain, only a two mile drive from downtown, will not disappoint. Homes on the mountain range from seventies mountain architecture to modern day construction. The mountain is home to many condo complexes as well, while some offer ski-in/ski-out amenities. 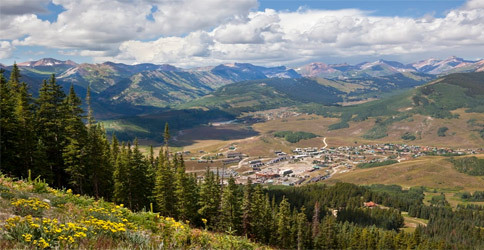 When on the mountain, one can escape the busy downtown Crested Butte and enjoy peace while they take in the views. Winter and summer offer a lot of activities including hiking, biking, skiing, concerts, etc. In the winter there is a free bus that you can catch to get to the center of the resort. Once there, you can jump off and ski, or hop on the bus to downtown Crested Butte. In the summer you can always walk, bike, or run down the rec path to town. Crested Butte Mountain Resort offers free concerts during the summer months at the base of the ski area on Wednesday nights. Bring your blanket and snacks to enjoy the plethora of music they offer.